A Lot Of These So-Called Post-Election Hate Crimes Are Turning Out To Be Hoaxes, Huh? Well, if there’s one area that vulnerable to the fake news epidemic, it’s these alleged hate crimes that are occurring after President-elect Donald J. Trump’s upset win over Hillary Clinton. First, we had the woman who said three men assaulted her on a New York City subway on December 2. Of course, liberals jumped on it. Big mistake; she lied about the encounter. 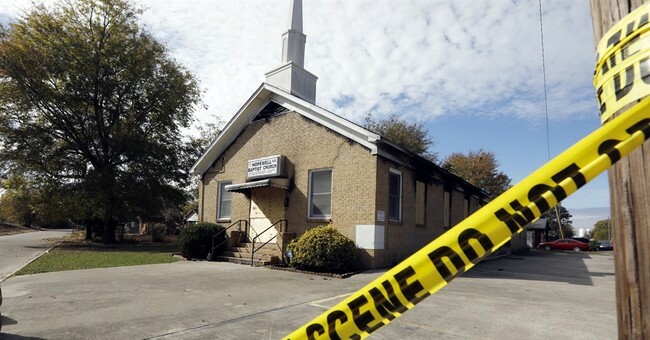 Another incident that made headlines was the black church in Mississippi that was set on fire with “Vote Trump” graffiti sprayed on the sides on the building. This occurred on November 1. This one most of all was fishy and that skepticism proved to be correct. Andrew McClinton, a member of the congregation, was arrested on arson charged. Police have determined a University of Michigan student's claim that a man threatened to burn her if she didn't remove her hijab was false. Ann Arbor Police Lt. Matthew Lige says there was not enough evidence to support her claim. That is not to say that racially motivated crimes don't exist. They certainly do, but what is it with these people lying? This election is not an apocalyptic event, but some on the Left are treating it as such. Lying about such incidents only hurts those who are actually victims of such crimes. Also, our police are good at these investigations. This isn’t a Rolling Stone comb over; they’re going to find out if you lied. As the media discusses and find ways to neutralize fake news, they might do well to view these attacks with healthy skepticism because the stories that have grabbed headlines have been nothing but atrocious falsehoods.